Corporate Sponsorship for The Colosseum? CORPORATE sponsorship of stadiums is nothing new and is common across the globe, however when that stadium is 2000 years old and internationally recognized – Olga Leleka looks at what could be be a world-first. 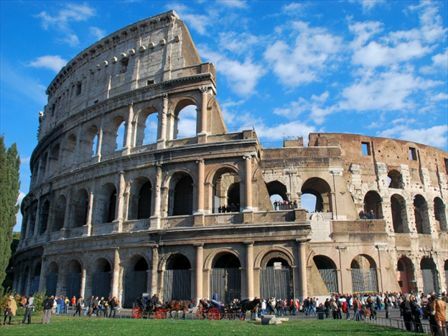 Does any traveler to Rome return without an image of the Colosseum? Be it a photograph to a refrigerator magnet. Millions have looked upon this ancient engineering marvel in awe and left with not only the image of it burned into their memory, but also with a token reminder.